One thing leads to another, and I dare say that any situation like that could easily make my day. In the context of anime at least, of course. So I was browsing around as always, trying not to bore myself further to death as there hadn't been much to save my dwindling interest. Anime had been taking quite a plunge, though I thought that it was completely normal to have slow days for just about anything. But panic soon took charge when things got a little too slow. It was just tough trying to catch my own interest during times like that. Thank goodness, I saw something. Don't worry, it wasn't the supernatural or anything like it. 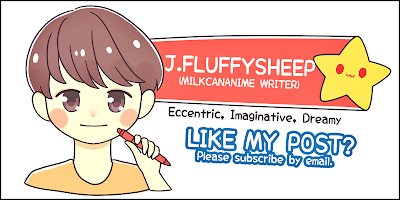 I have a couple of anime streaming websites that I go to for my regular fix. Occasionally, when my eyes stare long enough something interesting will magically appear. Okay, that is rather lame. But the moment when something unexpected just claps eyes with you actually triggers a whole trail of events which prove to be helpful in some way. 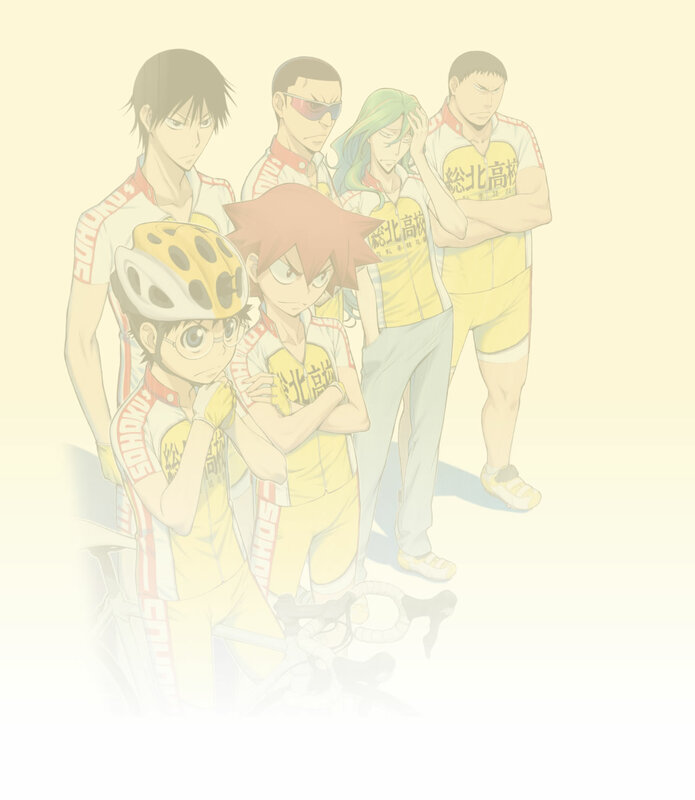 Today, I'm going to talk about Yowamushi Pedal. 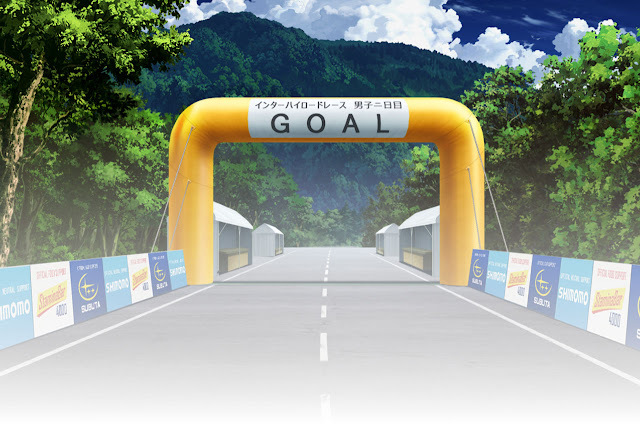 Yeah, remember Onoda Sakamichi and his (mis)adventures in road racing? Remember the profoundly intense three-day Inter High which a lot of us would have had long known the ending since the manga was way way ahead of the anime? It still is, by the way. The third season will officially kick off early next year, but while waiting for that day to arrive there are other things which I believe would help relieve those annoying withdrawal symptoms even for just a bit. So I was browsing around the anime streaming website, and not one, not two but three Yowamushi Pedal films came into my vision! How cool was that? I didn't think for once that getting to watch those films would be remotely possible though. They are: Yowamushi Pedal: Re:RIDE, Yowamushi Pedal: Re:ROAD and Yowamushi Pedal: The Movie. The first two films are mostly recaps of the first two seasons of the anime, but the third is an entirely new story that takes place after the Inter High victory for Team Sohoku. Anyway, my ever decreasing attention span was enough for just one movie. 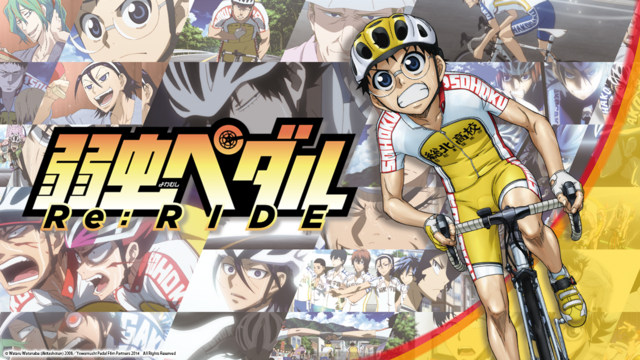 Hence, I decided to go with Yowamushi Pedal: Re:RIDE. 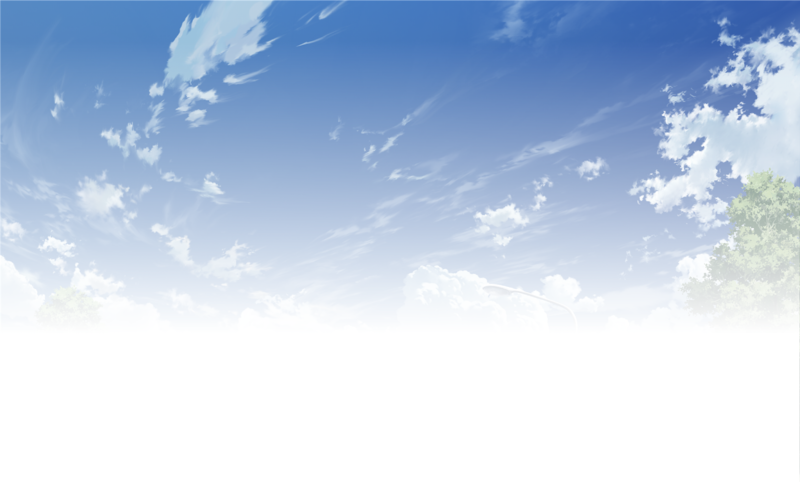 It enjoyed a limited two-week release in Japan following the finale of the first season in 2014. The film condensed the juicy essence of Team Sohoku's ferocious battle against rivals Team Hakone and Kyoto Fushimi during the first two days of Inter High. Of course, there were some new scenes which helped to facilitate the flow of the narrative. In fact, it was a little flashback of sorts with Onoda Sakamichi, his senpai Makishima Yuusuke, and their opponent Toudou Jinpachi from Team Hakone. 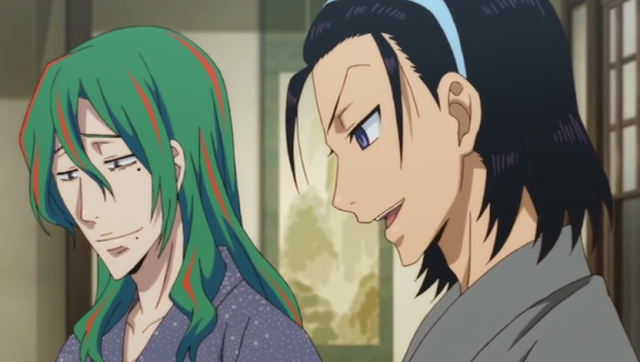 Apparently, Toudou Jinpachi had invited them to his family-operated inn for a short staycation. Makishima wasn't too keen on the idea, despite having a fancy to the hot springs. An easily excited Onoda-kun began reminiscing in the midst of spending time with Makishima and Toudou. 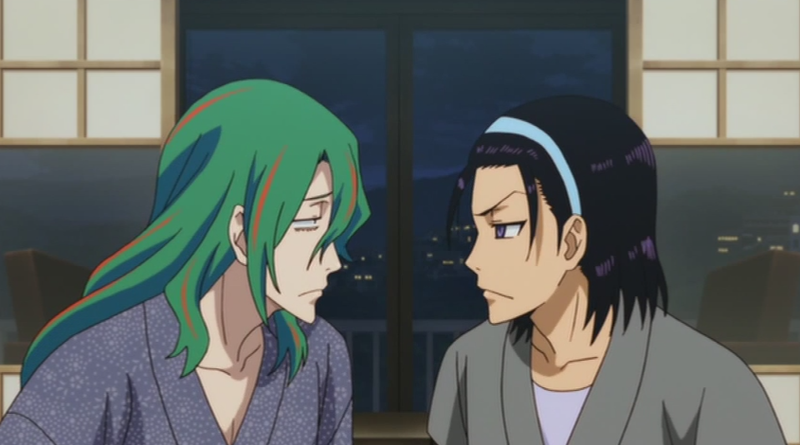 The scenes would alternate between their hilarious interactions back at the inn (mostly from Makishima and Toudou) and the first two days of Inter High. Even though I was already aware of the race, the new elements in the film had refreshed my mind greatly. 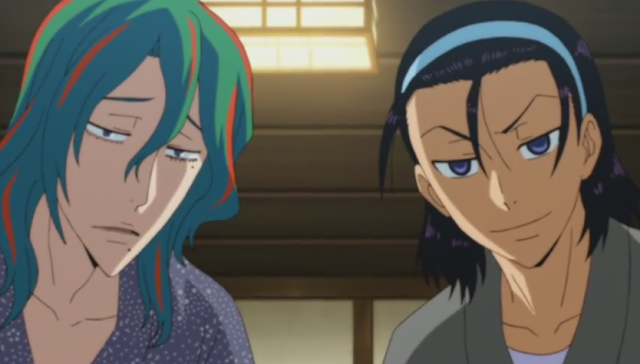 In one of the scenes leading to another flashback of the race, Toudou joked that Onoda-kun would even pedal in his dreams. Indeed. Onoda-kun had grown tremendously and transformed into a true athlete throughout his adventures. I can't wait to savour the remaining movies! 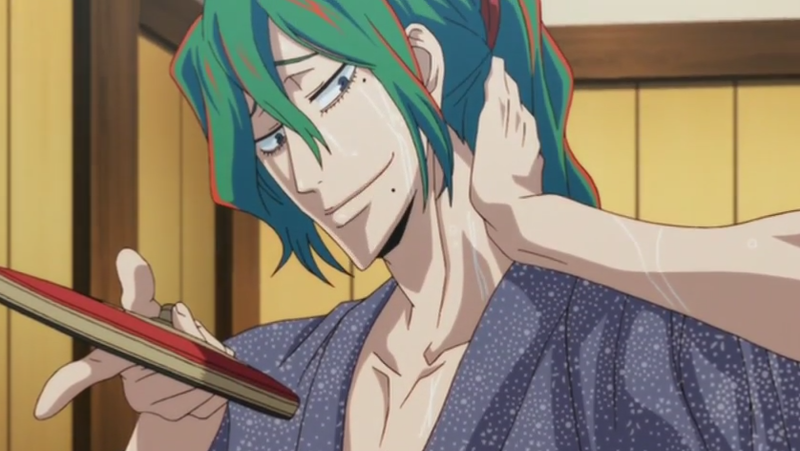 No Comment to " Yowamushi Pedal: Re:RIDE "